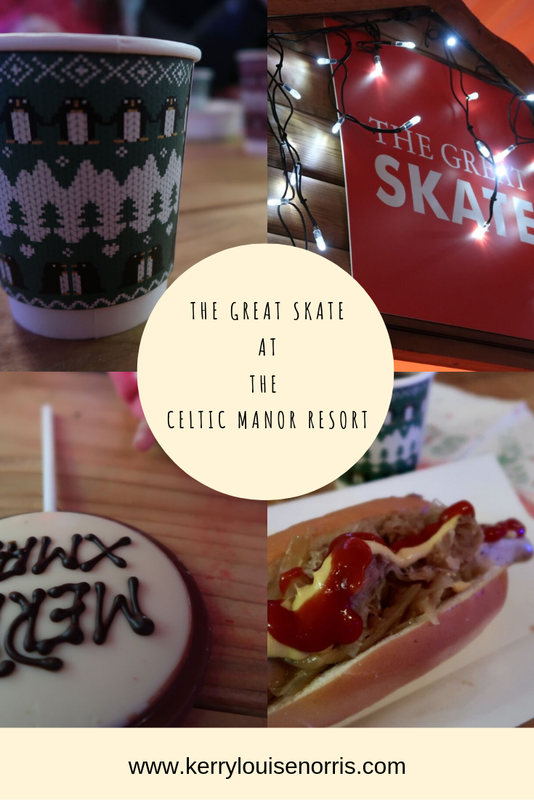 One thing we love to do at Christmas is to go ice-skating, so when we were invited to the opening of The Great Skate at The Celtic Manor Resort, we couldn't say no. The Celtic Manor resort is our favourite hotel in South Wales. 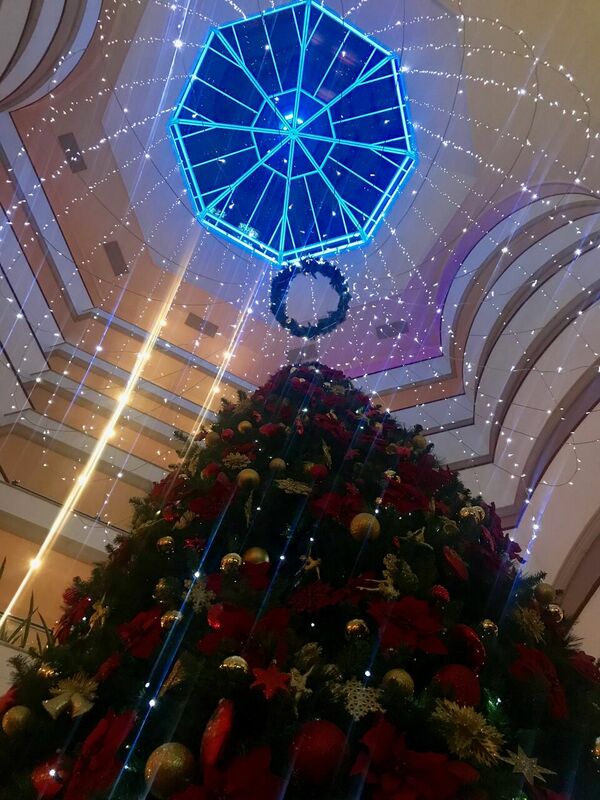 It's more than just a hotel and every time we walk into it, we feel like we've gone away on holiday. In fact as soon as we walked through the doors last week, Eva screamed, please can we stay at this hotel. It's beautiful. 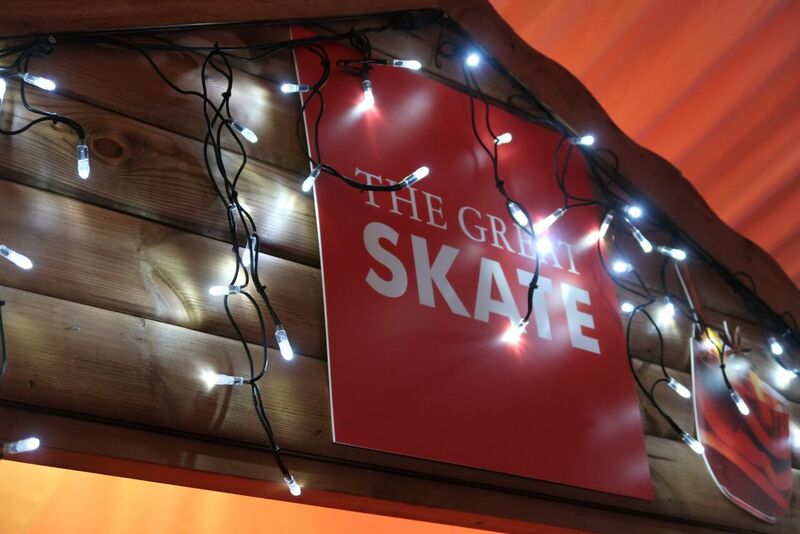 If you are heading to The Great Skate there is a separate car park which is clearly signposted. 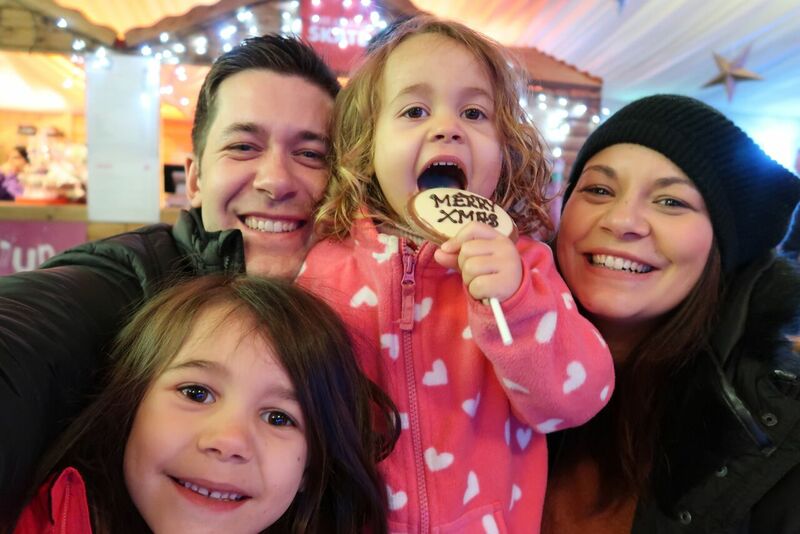 If you are there for a certain amount of hours there is a small charge but we were there for a couple of hours and we didn't need to pay anything. 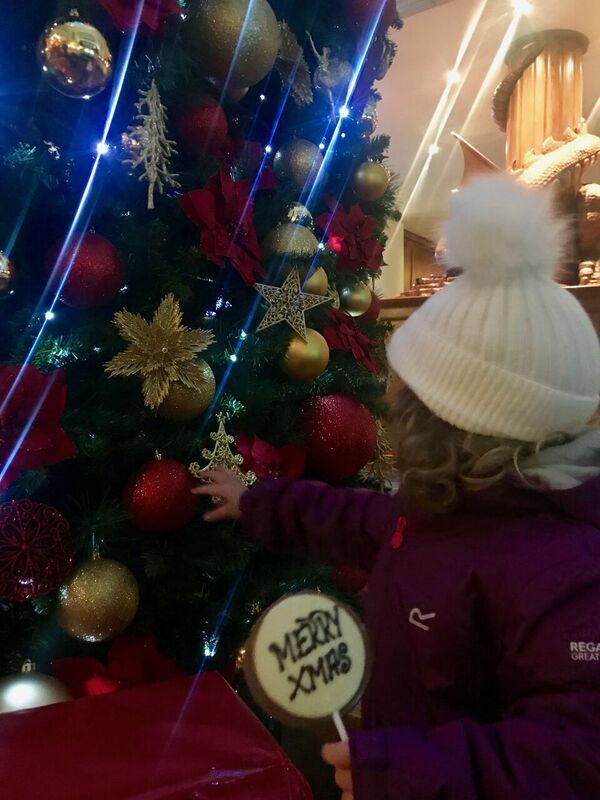 The car park is a short walk to the hotel along a path surrounded by Christmas trees. It is open until the 6th January and prices start from £5. There are various tickets and packages available. 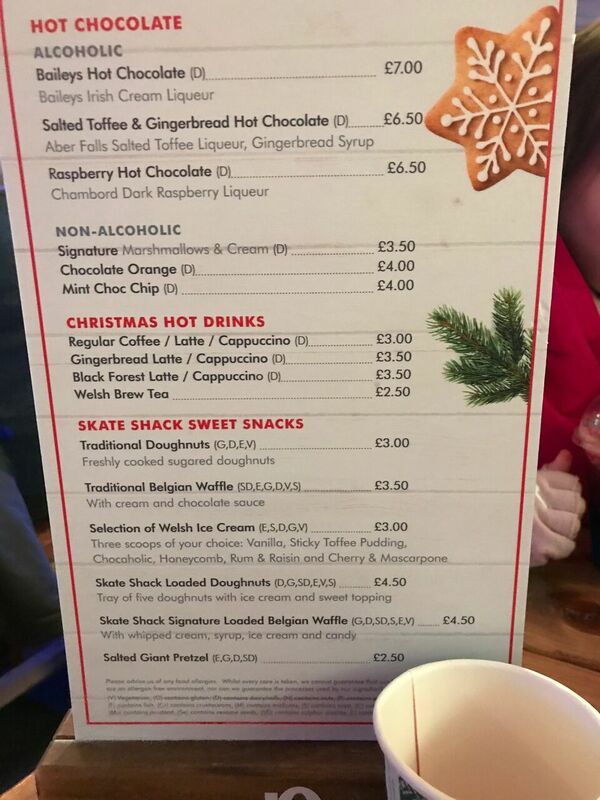 Even though The great Skate is actually outside it is all enclosed which is perfect as it means it's slightly warmer than being fully outside and that you can attend even if it's raining. One thing that really stood our for us and enhanced our skating experience was the fact that they have 3 different skating aids for children depending on their age and size. There was a polar bear, penguin and even a sit on seal. 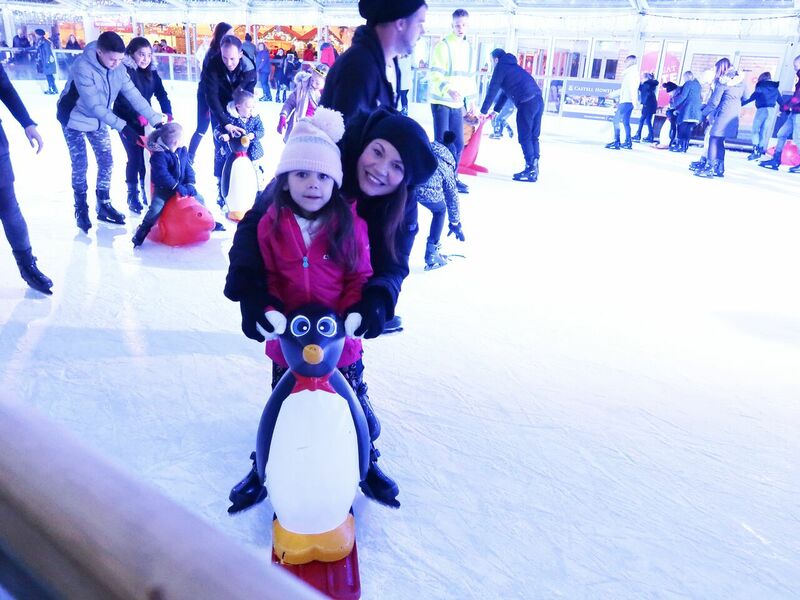 Eva had a penguin which I was eternally grateful for as it helped me around the rink too! We had an hour on the rink and Eva didn't want to get off. She absolutely loved the experience. We then headed into the food and drink area which was lovely. There were a few different food options which was great to see. 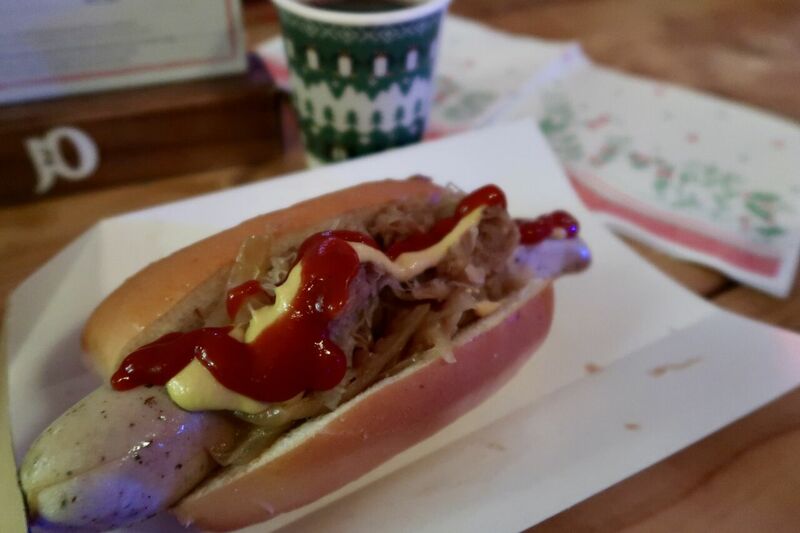 You could have burgers, hot dogs and there was even a halloumi option which sounded yummy. The only downside was there were no children's sized portions which I would like to have seen. 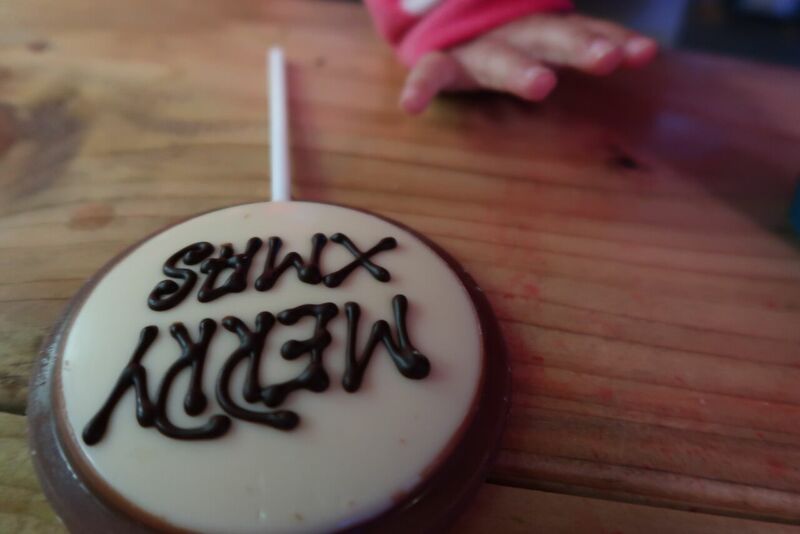 There was also a sweet treats stall serving things such as popcorn, waffles, chocolate, candy floss etc which my children thought was amazing. 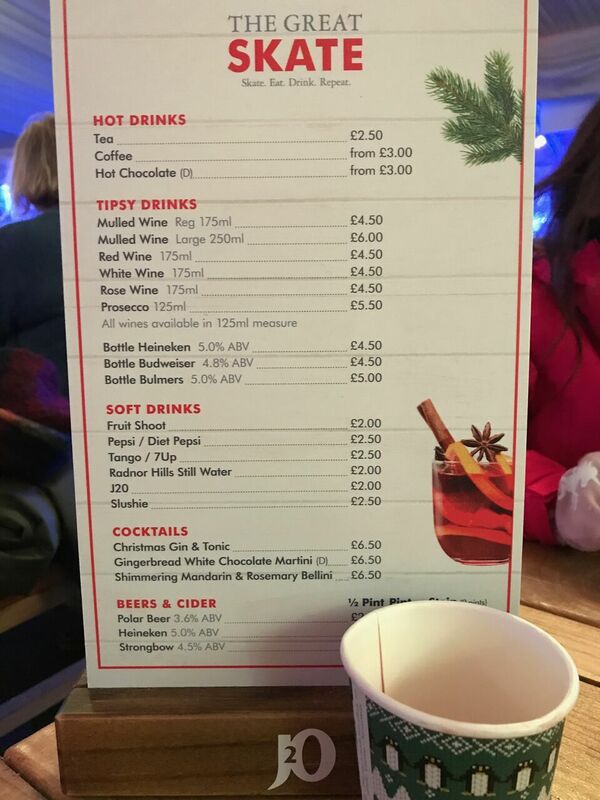 There was a huge range of drinks on offer. We were really spoilt for choice. 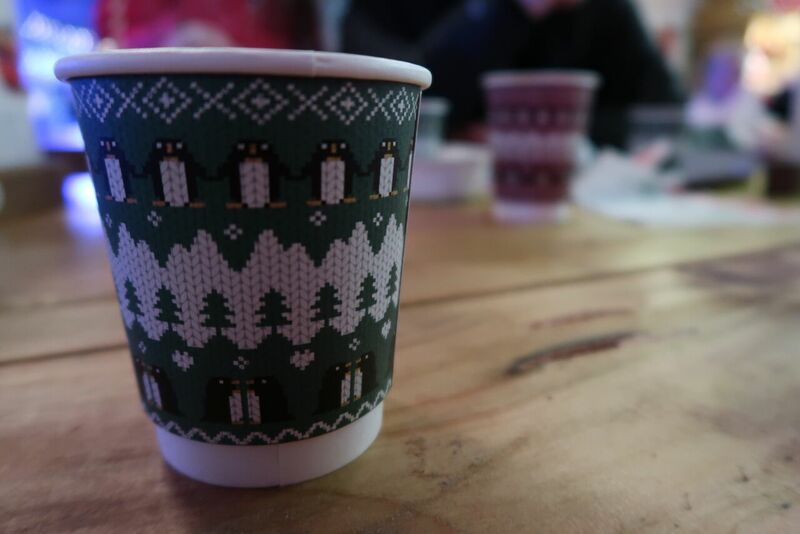 There were hot drinks, soft drinks, festive cocktails, mulled wine, beer, cider, wine and prosecco. 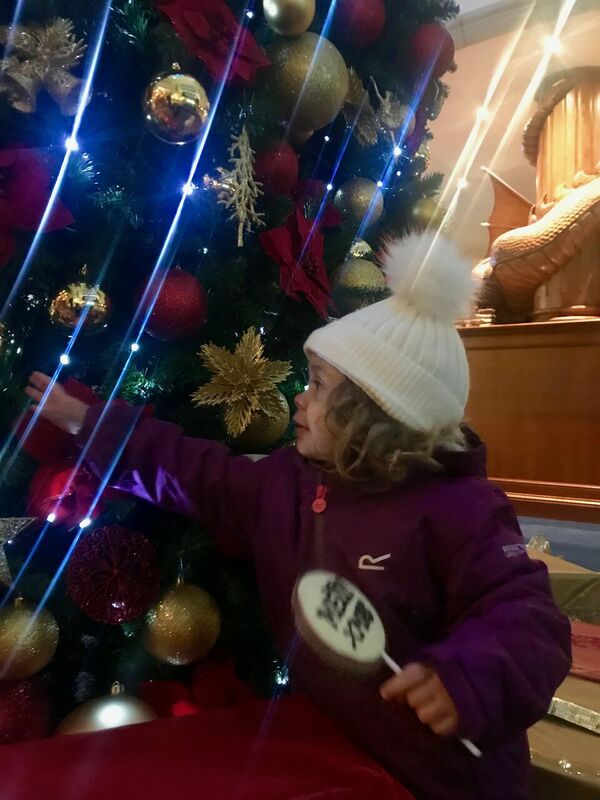 After our experience we had a wander around the lobby area of The Celtic Manor resort to look at the Christmas decorations and soak up the atmosphere. 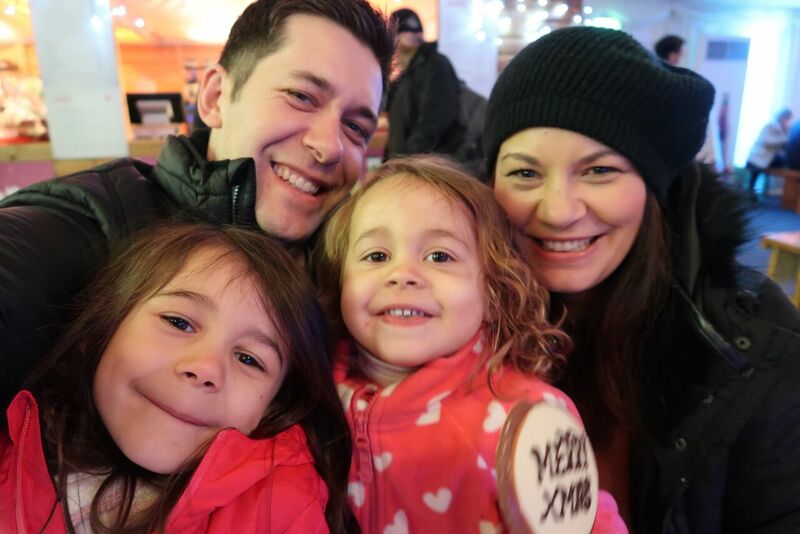 We had a fantastic evening and we are already looking at when we can return again in December. We'd highly recommend it.